E-bikes are easy to ride and a ton of fun. You can still get the exercise you want, when you want it but if you need help getting to your destination the electric assist system is there for you. Bosch and Shimano are producing some of the best systems available for e-bikes. These companies produce reliable, serviceable, and user-friendly systems. 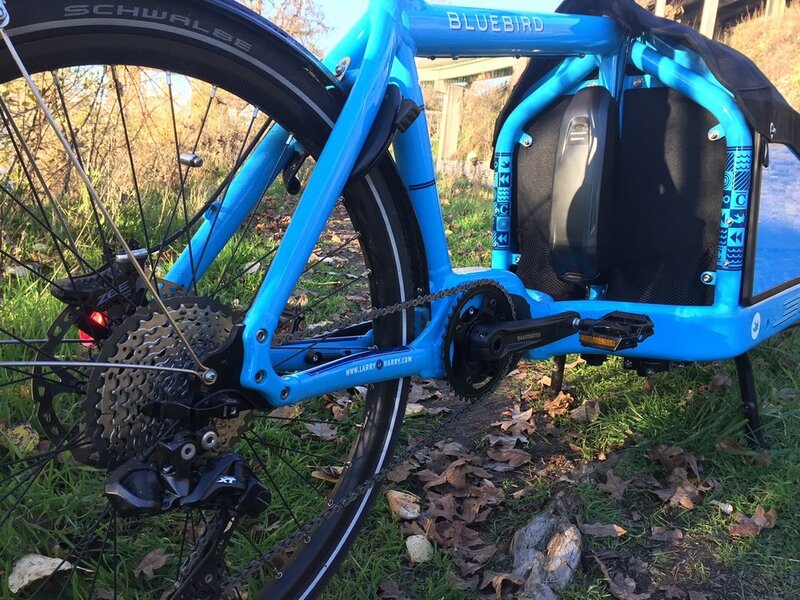 We feel it is critical to buy an bike with an e-bike system that is well-supported by the manufacturer. That means that they provide technical training, have repair parts available, and offer good warranty terms. That's why we have selected only bikes with Bosch and Shimano systems for our store. Whether you're looking for an electric family, cargo, utility, or commuter bike, we have a range of top quality options. Shimano STEPS is easy to use and fun to ride. Shimano produces two different STEPS systems: E8000 and E6000. Both systems are smooth, reliable, and fun to ride. With integrated electronic shifting, riding a bike has never been so easy. Bosch produces one of the highest quality electric assist systems available today. Fully integrated and very refined: Bosch's Performance Line is a system you can trust. All of the Bosch-equipped bikes we sell feature the one of the Bosch Performance Line systems. Some of our brands also offer Bosch Dual Battery technology. So, whether you need high torque from the Bosch Performance Line CX or the extra speed of the Bosch Performance Line Speed (HS) we have several options to consider. The new PowerTube500 battery from Bosch is available on two Riese & Muller models. This state-of-the art technology improves e-bike aesthetics by integrating the battery into the bike frame, creating a very clean, sleek appearance. Not sure which Bosch battery and motor configuration is right for you? Check out the Bosch Range assistant to see what might best fits your needs. But, don’t hesitate to ask our advice too! BionX is no longer selling and supporting their e-assist kits. Since we have been a BionX dealer in the past, we are happy to speak with our customers with BionX systems about service. If you have questions about the system you purchased from us, please give us a call.